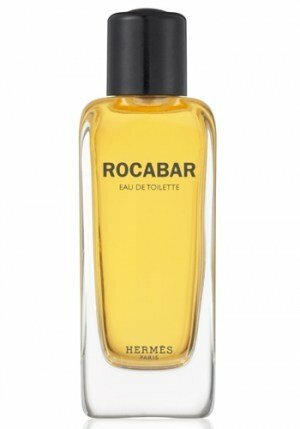 Rocabar (Eau de Toilette) is a popular perfume by Hermès for men and was released in 1998. The scent is spicy-woody. It is still in production. Just at Douglas completely unsuspecting sniffed at Rocabar and... wow. A timeless classic for a man who doesn't have to prove himself. No angular fragrance, but noble and very harmonious. Or to put it another way: If you're more of an Allure Homme sports wearer in the office and you hire Rocabar on the day of salary negotiations, you'll probably be offered the raise directly, instead of having to ask for it. Yeah, it's such a smell for me. Hermès is an interesting designer in comparison to the other ones when it comes to the world of perfumery. While even the most classic bend toward the latest trends and trying to get the easy money from the young audience, the traditional brand of leather goods maintains a consistent line which is refined, more mature and with almost no perfume out of production. Even creations of little attention like Rocabar remains in production showing how refined is the offer of Hermès for both the male and female audience. It is interesting how the perfume is constructed, a mixture of chypre with a dry resinous and spicy oriental feeling, something able to transmit a rough and at the same time velvety, texture something that seems to marry well with the inspiration of the tissue. If you watch the close aroma skin you notice a smell that brings to the mind a semisweet chocolate aroma, product of a very sophisticated patchouli. What projects, however, it is an aroma that mixes a smell of dry, cold and fresh spices, resins, citrus and an astringent smell of classic herbs. 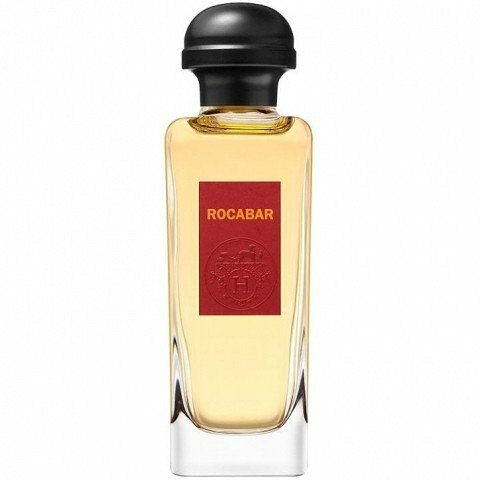 Rocabar may seem at first a scent that disappears quickly into the skin, but if applied with greater generosity is possible to notice its sleek smell forming a sophisticated aura with shades of moss, wood, spices and resins. It's the kind of perfume that does not seek to attract attention, that exudes confidence, security and good taste. Not for many, but matches very well with those who seek this kind of more mature and sophisticated elegance. Definitely an interesting one... sophisticated! Rocabar is a sophisticated, grown-up gentleman's scent. It has a woody, almost pine-like opening, but dries down to a deep, sweet, resinous, almost vanilla-like aroma. It is (incredibly) well blended, so making out the notes isn't easy... but what it does come across as, is quality. Quality is something which is characteristic of Hermès, and it certainly won't disappoint here. Would highly recommend this for any well-dressed, confidant man who is looking to make an impression. Lots of class and unmistakable quality! Write the first Review for Rocabar (Eau de Toilette)!